Tune in this Sunday, September 1st at 11pm to our weekly show "In All Languages" featuring the Hammered Dulcimer virtuoso Max ZT! Taking his roots from classical Irish folk music, Max has transplanted his compositional techniques to both Senegal, where he studied the Mandinko technique with the Cissoko griot family, and to Mumbai, India, where he received a grant to study under the great santoor master Pandit Shivkumar Sharma. Max has enlivened the conceptual framework of traditional folk music by fusing multi-cultural roots and traditions to create a truly compelling sound. 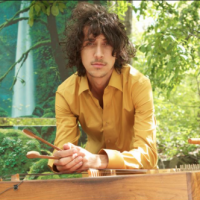 On this interview, we get to learn about the hammered dulcimer, Max's musical infulences, his journey east to Senegal and India, his adventures, his upcoming projects, and much more.You can follow Max ZT's updates on his website www.maxzt.com.